With the tour over and summer coming to an end, Serissa accepts her life will never be the same. She returns home with Gabe feeling as though everything around her is in perpetual change, from her mother beginning to date again, to Amber struggling with Rose’s departure. Before having a chance to become comfortable, Dayton and Colby present her with the shortened timeline she’s been given and answers to why it’s time to move forward in her mission. Her move from Kansas City to Chicago to meet with her production company deepens her relationship with Gabe, but only in time to meet with his own mother to learn he has sacrificed more than he realizes to be with her. She knows she has to record her album and do as she is told, but it’s hard when her only friend is on a downward spiral and her boyfriend’s future uncertain. But when Kyle reappears with another murder fresh on his hands, she is no longer willing to be forgiving. Without time on her side, she’ll commit a dose of her own magic in plain sight knowing her unconditional love will be the first of her messages, making her a musical force to be reckoned with. When I read the first book in this series, Serrisa, I really enjoyed the book and felt that the story premise was good, and very promising for a series. I am not sure how many books are in the series, but I do know that there is more after this one. I received this book from the author in exchange for a fair and honest review. My apologies to the author for how long it took me to get this done! Serrisa is an eighteen year old girl that has just spent the summer after high school graduation with her best friends, while they followed around their favorite band. 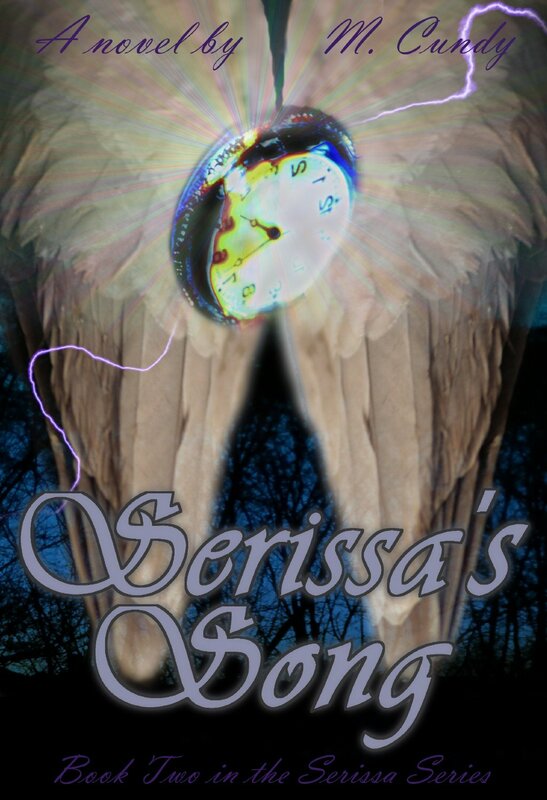 When this book starts, summer is coming to an end, and Serissa and Gabe( her new boyfriend and member of the band) are back in Serrisa’s hometown. Gabe is also her guardian angel, and has been watching over her pretty much her entire life. Serrisa is now aware of her destiny to save the world through her singing. If she doesn’t, not only will our world be ended, but so will heaven. Now it’s up to her to become the mega superstar singer that she is destined to become. The premise was a good concept for a series. Now that Sara, as she is called, knows most of Gabe’s secrets, the premise changes to Sara’s goals to become famous. The book starts up at her home but quickly moves to Chicago, and instead of concerts and motel rooms, as in the first book, this story features recording studios and a fancy hotel suite. Sara’s trips to heaven were imaginatively drawn by the author. It’s really heaven envisioned as villages with homes and shops and a good life for most. Sara is pretty much a kind of celebrity there, as she is to be their salvation. There’s magic potions and also magic transporter rocks-for those trips to heaven. A good villain is always a must in books like this, and this has more then one. Sara’s ex-boyfriend is especially heinous and his acts-one in particular-are heartbreaking. Even so, this goes in the like column, because he was such a good, bad villain. I thought the pacing of this book was pretty different from the first book. While the other book kept the reader wondering what was going on, this book, since we already know, read a bit slower for me. There wasn’t as much going on as in the first book, and that took a bit getting used to. Don’t get me wrong, there are incidents that happen that move the story along, but it just(as I said before) was a bit slow for me, and this really is a minor complaint! I think I would have like a better explanation of why her singing would unite the world. One was given, but I just wanted to make more sense of it. Not a big complaint, but one that kept coming to mind while I was reading. While the last book was YA, this book moved it a bit into New Adult territory or 16 and up, with the introduction of sexual situations. It wasn’t graphic or anything, more implied. Any paranormal romance fans in that age group would be the target audience for this one. I should tell you, if you haven’t read the first book, you will be pretty lost. I really did enjoy the continuation of Serissa’s story, with just a few minor exceptions, as I already noted. I am wondering what’s up for Serissa in the next installment, and will definitely be reading it as soon as it comes out!